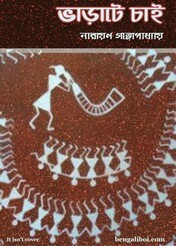 'Bharate-Chai' is a children's drama book. This play can be presented by children in their school or any special program. Feature of this play- Many children can play together, easy language, this drama has single scene and very little arrangement is needed. You need a medium size room. The room has whitewashed. Two or three chairs, one table- apart from this there is no special furniture. Seven in the morning. The owner of the house Bhupen Talapatra and his long relation nephew Gablu talking to each other. Two news papers in the hands of Gablu. Bhupen Babu's age is approximately fifty, white mustache, veteran look. Gablu is about twenty-five and cleverness in the eyes. This is the scene, now the beginning of the drama.. If necessary, you can watch this drama from youtube.